All Show Dog breeds have Official Standards. This is a detailed description of the ideal dog for that breed. It includes dynamic qualities including appearance, movement, and temperament. It also includes static physical characteristics such as color, size, and structure. The official tool for measuring a dog at a conformation show is called a wicket. This is an adjustable U-shaped bar that can be fit over your dog’s withers. This is the basic method for measuring a dog. If you’re looking for a more detailed explanation of the why and how to measure your show dog, take a look at this page from Livestock Guardian Dogs. If you’re just getting started, you may not want to sink your modest funds into a wicket right away. They can easily run a couple hundred dollars. Using a level and a blank spot on the wall, you can make a fairly accurate measurement of your dog’s height in the same a parent might measure the height of a child. For Dog Shows, however, there’s a lot more involved. Even just in terms of measuring your dog, you can’t just show up and having the exhibitor apply the U-shaped wicket to your dog. As the American Kennel Club explains, you want to have a measuring tape of your own to check your dogs legs and stance. You want to monitor the environment to look out for audience members and other distractions that may excite them and thus mess with the dog’s show stack position. Each breed may have slight variations in their stack position. Here’s a guide for German Shepherds, for example. 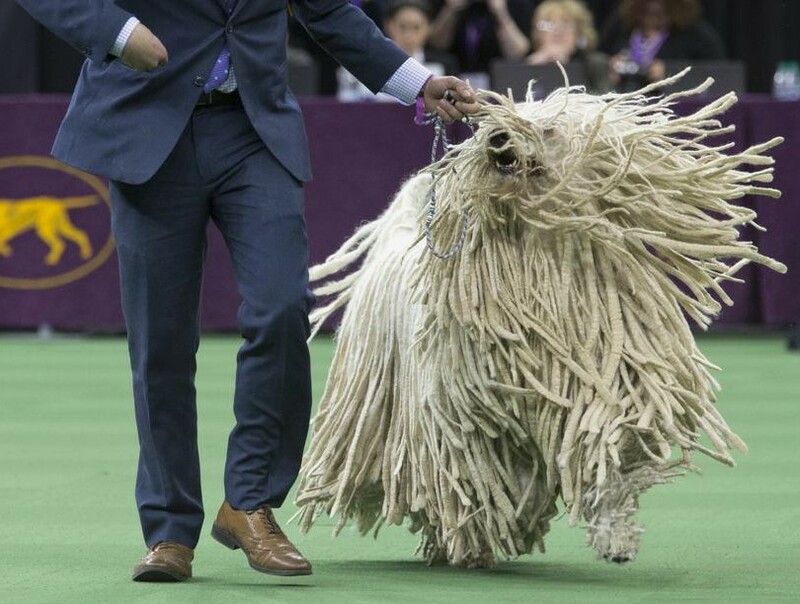 To make Best in Show or even seriously compete in a conformation show, your dog must be within a certain range for a core set of criteria including height. That said, different dog breeds have different height allowances as determined by the overall variation in the breed phenotype. All of the characteristics really are determined by multi-generational observance of the dog breed’s characteristics.